City of Haifa is the third largest settlement in Israel. The unique Stella Maris Church is the world center of the "Christian Order of Carmelita". That Order is the initiator of the erection of the church and its consecration. The temple of Stella Maris is situated on the slopes of Mount Caramel. The only way you can reach this temple is a walk on foot or by funicular. The church and Church Stella Maris are the biggest tourist attractions in Haifa and in general in this part of the country. The history of the Church of Stella Maris began in the early 17th century. In 1627 Carmelita receives ownership over the top of Mount Caramel and a secret cave, where he is supposed to have hidden. The initial construction of the temple began in the mid- 17th century, but the current outlook of the Church Stella Maris is due to the restoration process in the 18th century. Previously, the areas around the monastery are French, resulting in the Church Stella Maris and the lands around it are often named as the French Quarter, and "French Caramel." The foundations of the current Stella Maris were made in 1767, by the Italian architect, who was the author of the Cassini project, which arrived in Haifa on special occasions. For three decades, they build the Church Stella Maris, a large proportion of the funds are donations. In the spring of 1795 was solemnly consecrated the male wing of the monastery "St. Mary of Mount Caramel - Notre Dame de Carmen". 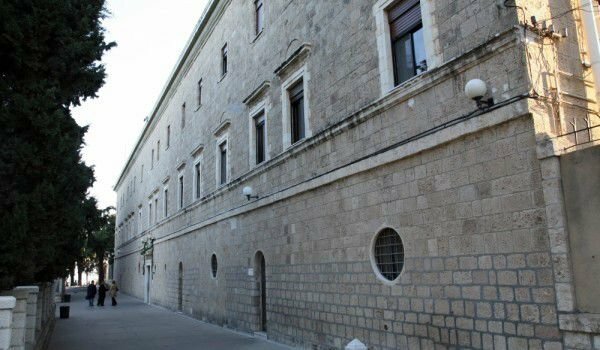 The complex was built on four floors, incorporating 12 monastic cells and three rooms for the pilgrims, church, dining room, ceremonial hall, library, hospital and pharmacy, as well as bakery, who were in favor of the local population. French sponsorship for the Stella Maris and the interior furnishing of the premises was significant. Ultimately, the Church of Stella Maris was finalized in 1836, then quickly gained popularity as a center of pilgrimage in the Holy Land. The monastery of Stella Maris is on an area of 32 by 60 meters. Above the entrance of the monastery can be seen the traditional shield crest and the image of Mount Caramel. On its top is a cross and the prophet Elijah with his sword. The structure is rectangular, and in the center was built a church with a small cave under the altar. It is made in a classic Catholic style. The walls of the church Stella Maris today offer the opportunity to catch a glimpse of its unique murals that recreate scenes from the meeting of the Prophet Elijah in God's family. It is estimated that there are graves of priests from the time of the Crusades. The small cave is known by the locals' as the bed of Elijah. Italian artist Luigi Podzhi is the one who painted many icons in Stella Maris, mostly in the 20’s of last century. In the innermost part of the altar can be seen sculptures of the Virgin with Jesus - Notre Dame de Caramel, over which are carved crowns of gold. The church and monastery of Stella Maris have an interesting museum where you can see dioramas of "Nativity", a huge human stone rung labeled "Zeus liopolitanus Karmelius" and many archaeological finds from the Byzantine era to the present day.